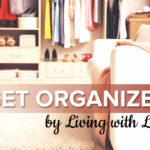 The following is a post from contributing writer Lana (like banana). This is one of those crafts that I couldn’t wait to share! 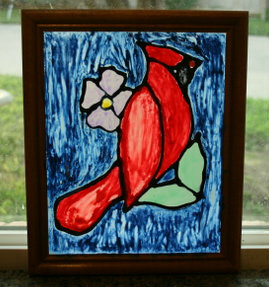 I love stained glass and the joy that it brings to windows. 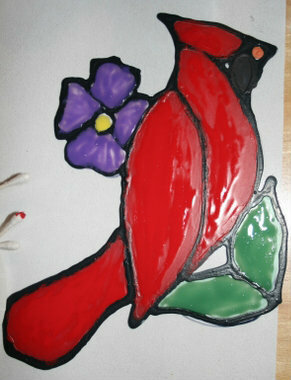 My 8-year-old daughter actually helped me make this cardinal which made it even more special. Plus, it was super inexpensive. I didn’t have to buy anything to make it and it was so much fun! Originally inspired by this Peacock. Take the glass out of the frame. Lay the template under the glass. 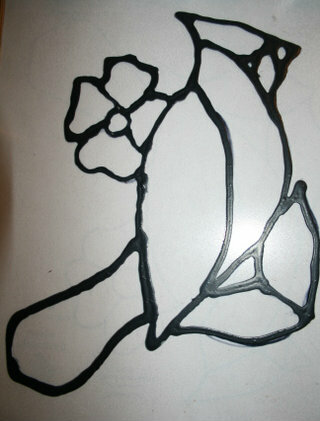 Trace the outline with a permanent marker. Add a few drops of black paint to a bottle of glue. It only takes a few drops. Shake the bottle until the glue is mixed well. 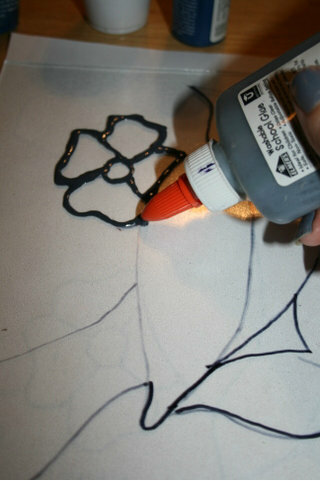 Gently outline the traced permanent marker with the glue paint mixture. Use a toothpick to correct any mess-ups. Wait overnight or a few hours until the paint is completely dry and hardened. 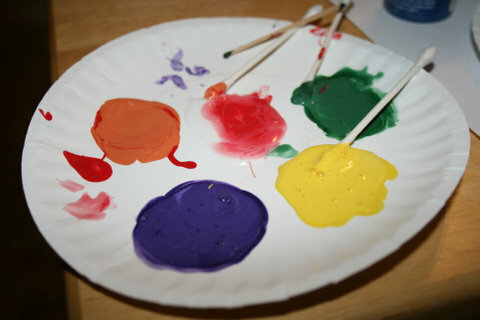 Prepare your palette of paints for your project. 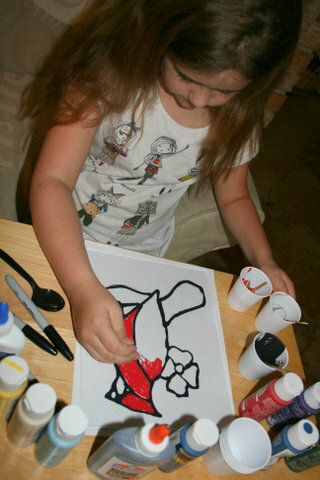 Pour a little mound of glue and add one drop of paint. Mix with a Q-tip or toothpick. Correct any errors with a toothpick. Enjoy your beautiful project. 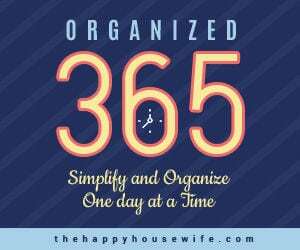 Let me know if you do this – I’d love to see it! I didn’t have any black paint. So I used blue, green, purple and red. After it dried it was dark black. I also didn’t have any orange so I mixed red and yellow. Look for cheap frames at the Goodwill store or at garage sales. A little paint goes a long way. Use sparingly. If you mess up, all the paint will come off with a little elbow grease. This is a fabulous idea! I love it and plan to do this with my girls! That is awesome! We have a ton of those paints…I’ll have to put that on the ‘to do’ list for this week! I’d love to see a photo! 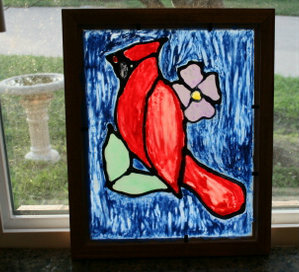 I just found a stain glass book of templates for really cheap. I can’t wait to make some more. What a great idea! I think we’ll do this for Christmas and Valentine’s day. Thanks for sharing! What a great idea! Would love to do this with my Granddaughter! Great idea! This would be a really fun project to do with my kids. Thanks for sharing! We’re about to try this out… looks lovely. Wondering how you keep the glass in the frame since you want the light to shine through and can’t put the back on. If you super glue the glass in the frame you don’t need to reattach the back. Looking at the project, gave me another idea to mind. I’m going to try this instead. Starting out with the black outline(glue&bulk paint) as always, next instead of painting my idea I’m going to use my alcohol inks instead. This will give me a more stain glass affect. Once I do my idea I will post it for you to see.